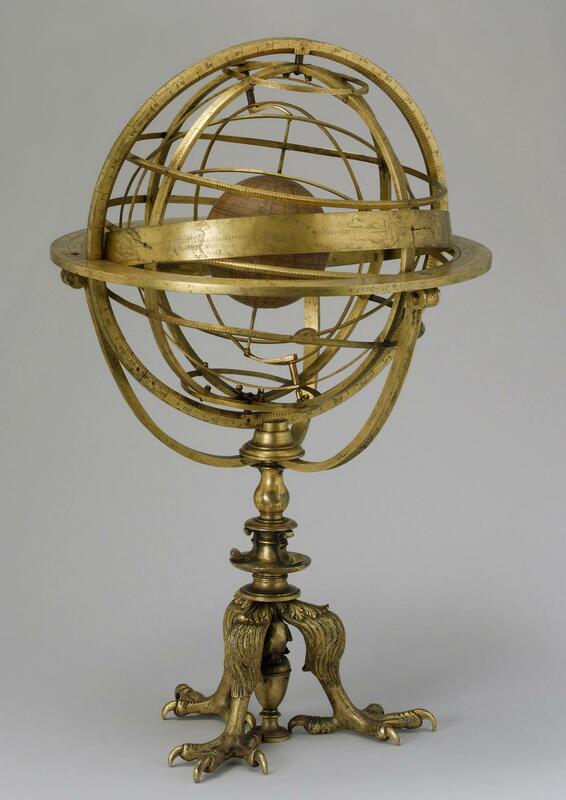 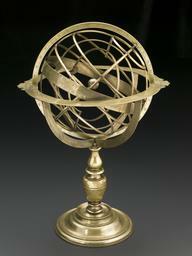 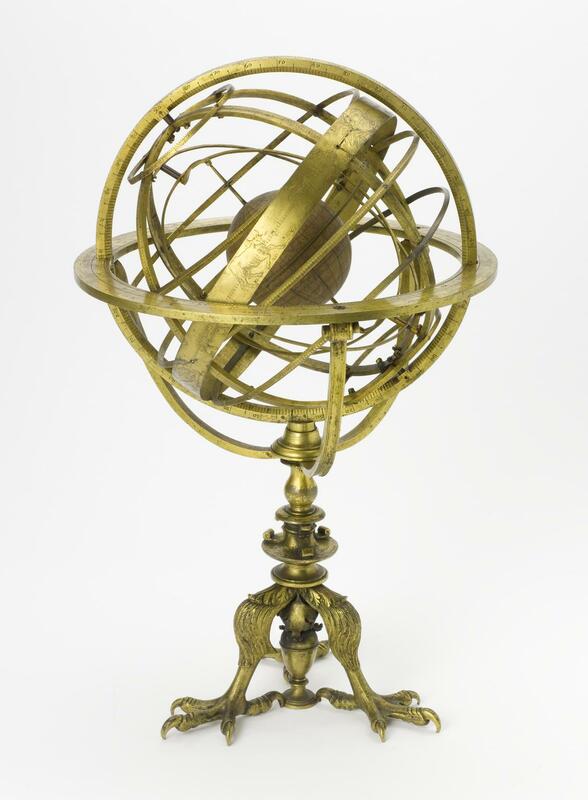 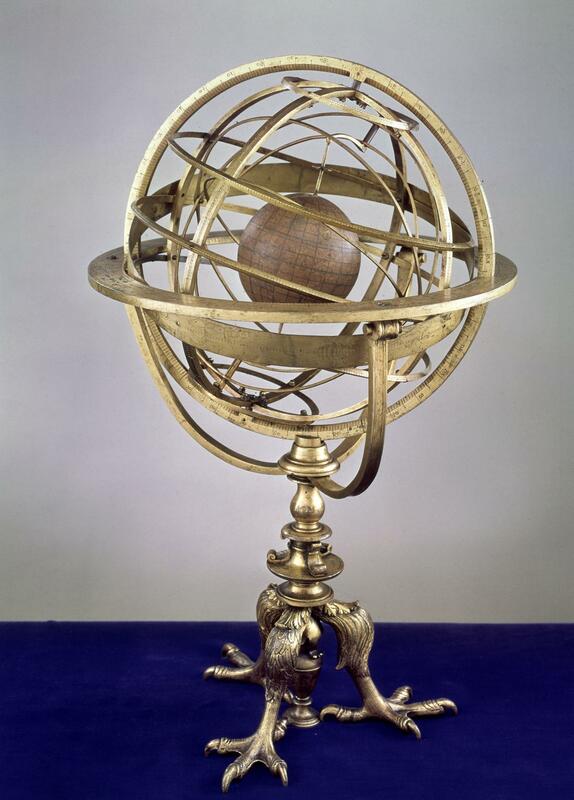 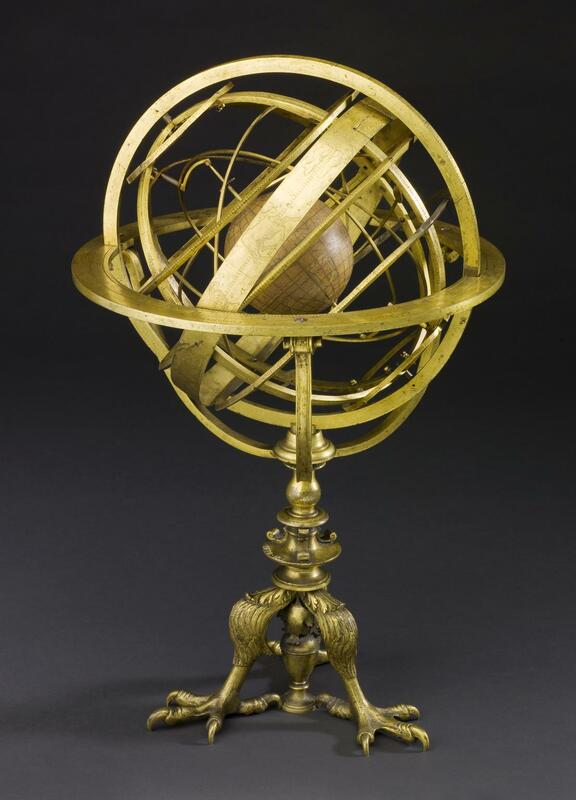 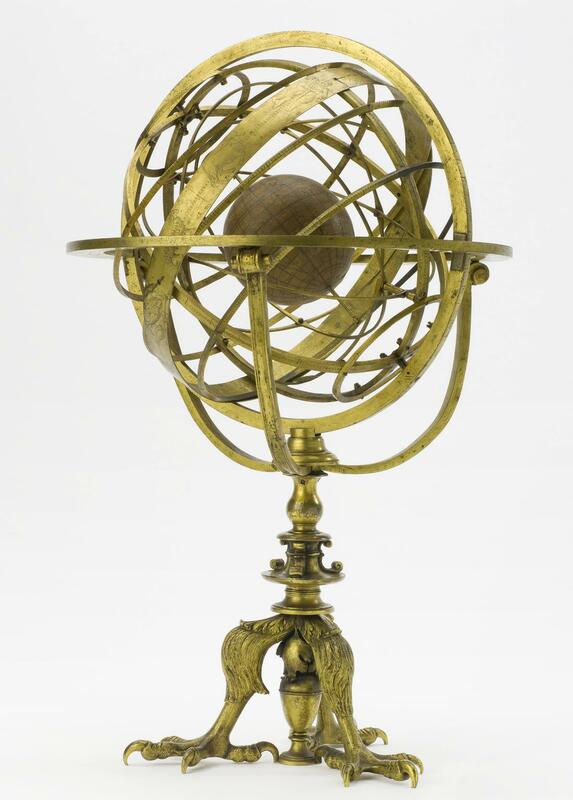 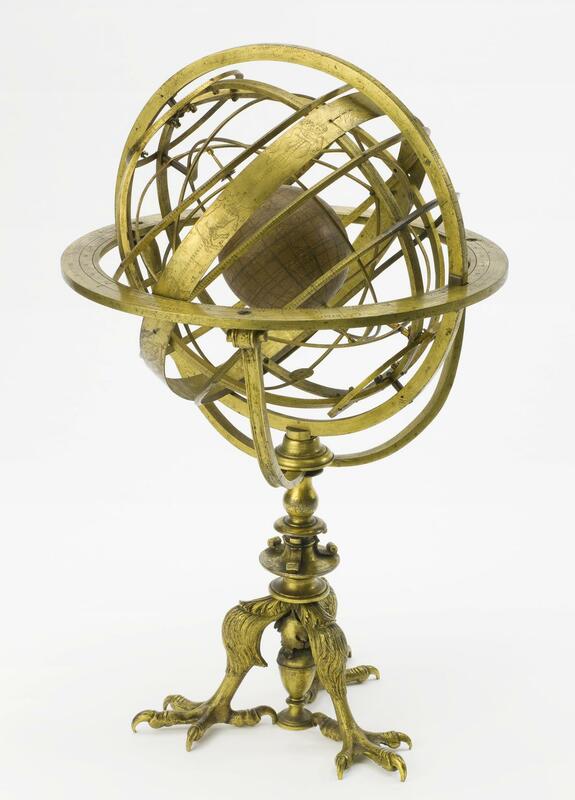 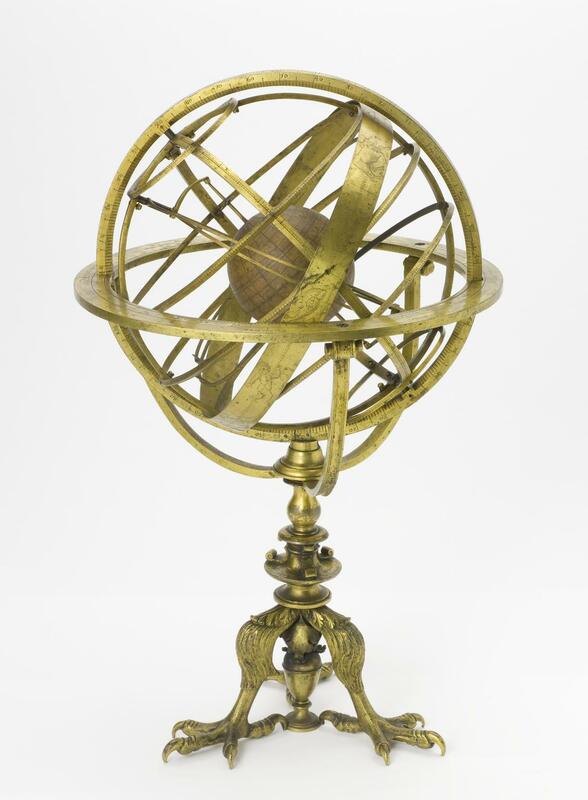 Made in 1554 by Girolamo Della Volpaia of Florence, Italy this brass armillary sphere encloses a manuscript terrestrial globe. 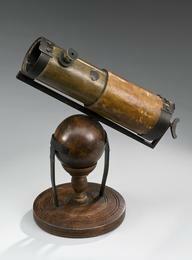 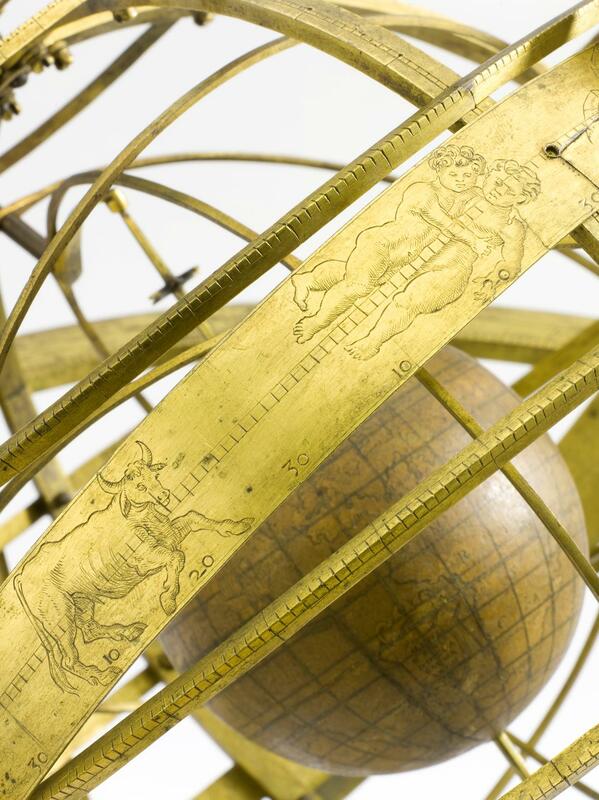 A finely engraved band with the star patterns of the Zodiac encircles the instrument. 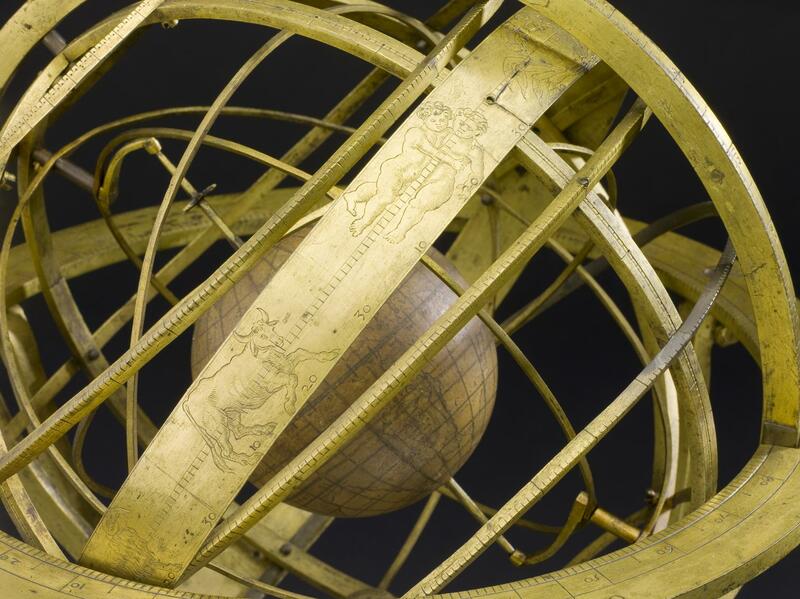 The armillary sphere is a demonstration device to explain the movements of the Sun, Moon, stars and planets across the sky. 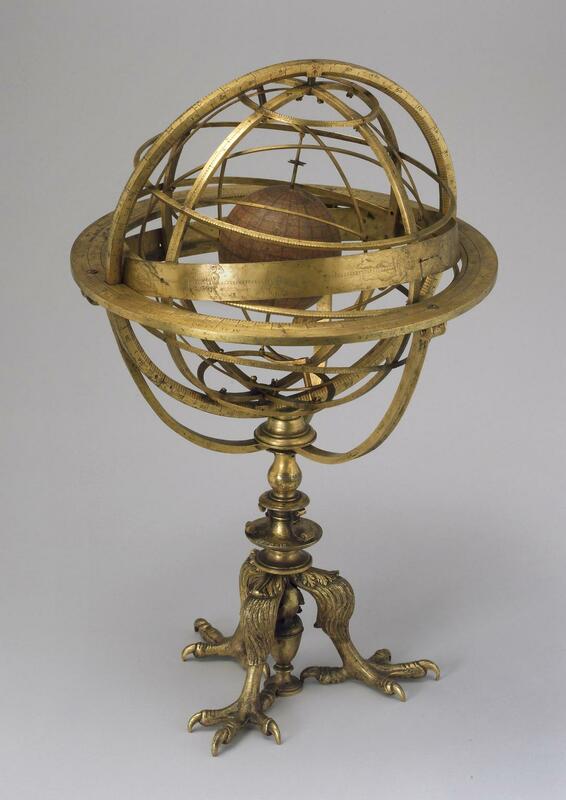 Its interlocking rings can be used to teach astronomical principles in same manner as a celestial globe or act as a model the universe. 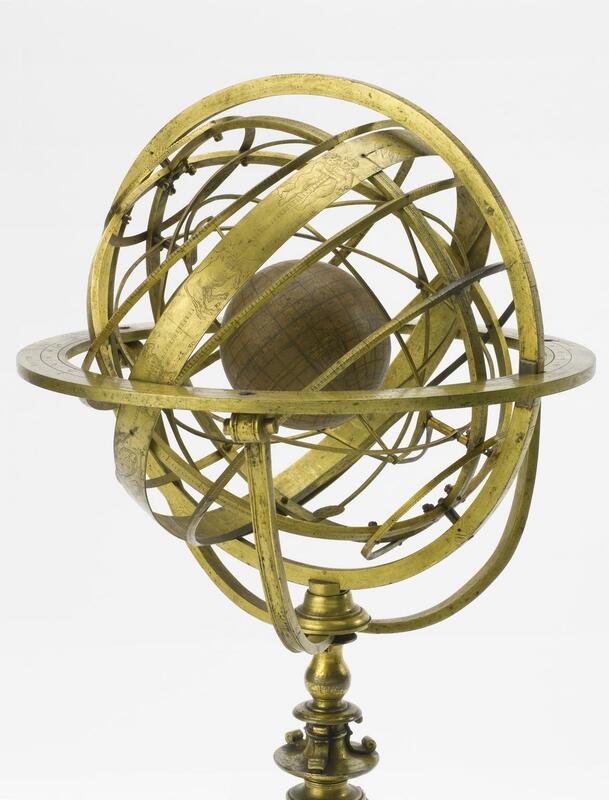 Based on the premise of an Earth centred universe, the armillary sphere was modified in the seventeenth century to teach the theory that the Earth orbits the Sun.